That I drop down into this formless, dull space, that I actually stand on my own two feet — for here, in composition, I have absolutely no qualms, no questions, about what occurs in the end. There is no thought to please, no external pressure of any kind. Here is the only place I can go where I am free from the anxieties and weaknesses of relying, or expecting anything; the fullness of my own greater Self is all. To stay within this realm of creative work and thought is the only necessity and any irritations arise from not doing so. July 30, 2015 WICN 90.5FM Talking about “Aberfan” with host Nick Noble on “The Folk Revival”. Thursday 7-11PM (EST). Nick has long been a supporter of my music, I really look forward to our interview. Dave Petley has included a beautifully written post about Aberfan in his series “Landslides in Art” on AGU Blogosphere, The Landslide Blog. I first wrote to Dave in May 2013 after reading his post, commemorating the 45th anniversary of the Aberfan disaster, which was so helpful in picturing and understanding how this catastrophy occurred, what led up to it and what followed, all vital to the composition. Dave Petley is the Pro-Vice-Chancellor (Research and Enterprise) at the University of East Anglia in the United Kingdom. Therefore, Aberfan begins with the Rain Sequence. 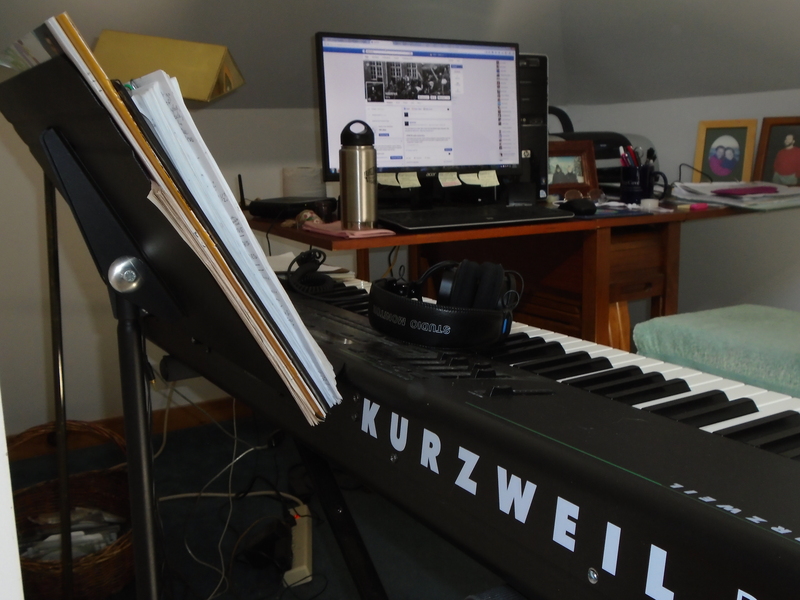 My workspace is in the attic and the idea to layer pianos originated as I listened to the rain on our metal roof so close above me. Here is a short demo sample of 7 pianos, all playing the same part, entering moments slightly apart from one another, each with its own tempo. To make sure that Aberfan can be recorded, please donate at www.tinyurl.com/FundAberfan. Several concepts were embedded in the process of composing Aberfan. These became emotional and compositional imperatives, apparent only as I went along. Chaos, the spiraling of events, silence after trauma, the absolute necessity that what wrenches, what pulls at the heart and hurts, be contained in the tension between how things are and how things have been. So that Aberfan can be recorded, please donate at www.tinyurl.com/FundAberfan. Airs Friday, June 5th, 6-7PM, and Sunday, June 7th, 5-6PM. Streaming on the web @ WMCB.net. 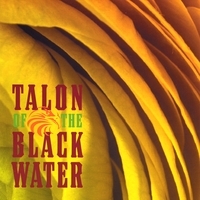 To close out the show we did for “Aberfan” this past week on WMCB, host Jackie Rose played “Wade in the Water”, a cut from my third album, Talon of the Blackwater. The show airs again this coming Friday 6P and Sunday 5PM. Listen live.